To me, cooking is more than just creating dishes that are a delight for the senses. Cooking together is exciting and makes you curious. While sharing ideas and experiences in a relaxed setting, it all seems to develop automatically. So, you are the most important ingredient for a successful afternoon or evening at Cook Your Life. I only work with natural products that I like to get at the farm, the farmers’ market or at a specialized store. I teach you traditional cooking techniques and let you prepare dishes on a professional Lacanche stove..
During a course or workshop, I try to bring out the best in you. Whether you have cooking experience or not. I am satisfied when you are satisfied. 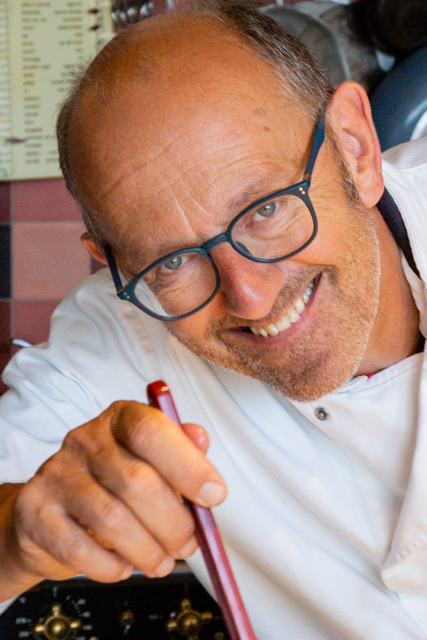 I hope to meet you soon in my cooking studio located near the port of Amsterdam.